As the cold winter months approach, a lot of us are forced to look out the window and face the harsh realities of a dreary garden. After months of warmth and luxurious looking greens, the darkness falls and leaves us with dry, shabby looking scenes. Although this can be a sad sight to see, it’s reassuring to know that positives are just around the corner. 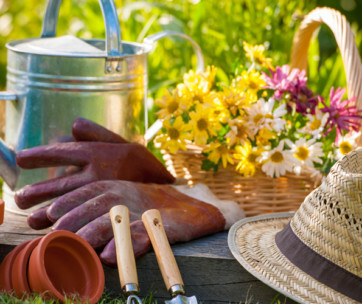 There is nothing better than planning your next garden spectacular in preparation for the warmer months, and it’s true when people say that anyone can be a successful gardener. It doesn’t matter on the size of your garden, just as long as you have a patch of land. Are you ready to get the garden of your dreams? Follow these incredibly affordable tips, and you’ll have a masterpiece in no time! De-stress: Gardening provides you with the perfect time to avoid the loud hustle bustle of life and enjoy a quiet, tranquil activity. A sense of achievement: There is no better feeling than creating something you’re proud of. Your garden is the ultimate hub to show off your gardening skills and create an area worth visiting. Good exercise: Believe it or not, gardening is an excellent form of exercise that also gets you out of the house. Constant moving around, pulling weeds, and carrying heavy objects all add up to create the perfect work-out. Tailored to you: If you’re lucky enough to have your own garden space, then the possibilities really are endless when it comes to gardening like a pro. You can create a masterpiece tailored to exactly how you want it, and no one will be there to stop you! Having your own space to work on and enjoy gives you a great humble feeling. The great thing about gardening is that it can be a completely spontaneous procedure. You might walk into the garden center one day and lay your eyes on the best plant you’ve ever seen. 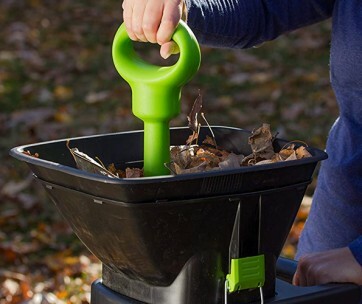 Before you know it, it’ll be buried in your garden ready to sprout into something beautiful. Although spontaneity is a key part of gardening, there’s no harm in having a rough plan. Take a long look at your garden and envision how you wish for it to look further down the line. Understand that some plants take longer to grow than others and ask yourself if you’re ready to commit to this patient process. If you are, then you know what plants to look out for, but if not, you can buy pre-grown plants which will spruce up your garden in minutes! Like mentioned previously, gardening can be spontaneous, so don’t spend too long planning your every move. You can either spend weeks contemplating what will work or, just go out and experiment while the season is still perfect! Head to your nearest garden center and purchase a variety of plants that will make your garden come alive. Remember that some endeavors will work, and some may not be so successful; this is all part of the wonderful gardening process. You live, and you learn! 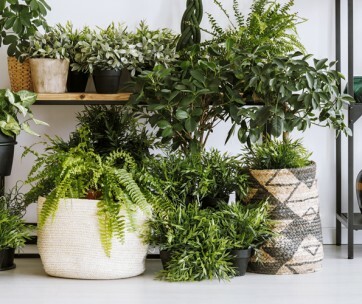 Important tip: before buying your desired plant, ensure that you have enough room for it to grow in your garden. 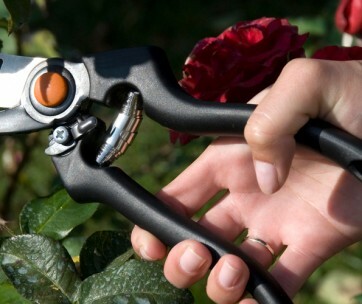 Now, the busier your garden gets, the more maintenance it’ll need. 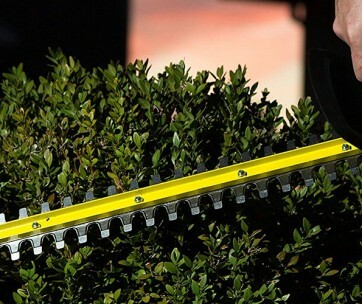 You’ll need to head out into your garden frequently, equipped with proper gardening tools– gardening gloves and pruning shears, or hedge trimmers, ready to tackle the area. If you leave your garden to look after itself, plants will begin to look wild and may even die, so maintaining them is key. Think of plants like children: they need looking after. Only the best gardening tools will suffice. Plant stands: just like a trophy cabinet, you can use plant stands to show off your favorite collection of flowers. Plant stands are available in lots of different designs, small and large, meaning they can be utilized in any garden. As well as looking aesthetically pleasing, they support your plants, increasing their chance of growth and survival. Lights: fairy lights are a popular favorite among garden owners thanks to their calming nature and festival aesthetic. As well as this, lining lights up along garden pathways are the perfect choice for those looking to use their garden both night and day. If you’re a frequent host, investing in some lights will be a worthwhile decision. Statues: the most prestige gardens have statues, and some even have built-in fountains. If you have enough space and cash then this could be a finishing touch worth having, but if not, then cheaper trinkets can do the trick too. Popular choices tend to be gnomes and family-friendly signs promoting peace and love. As the seasons begin to change, you will grasp an understanding of what works in your garden and what doesn’t. Some aspects will be worth maintaining, but others may end up being a waste of precious time. Remember that your garden should bring you peace, not added stress, so treat it with respect and scrap the things which don’t go to plan. When the cold seasons approach once again, you’ll be ready to start planning for the year ahead all over again. 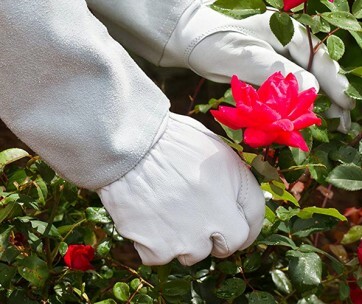 Follow the same tips provided above and you’ll be ready for another year of gardening like a pro. Why not try some new techniques to mix things up a bit? Your garden is your personal space; create whatever you wish. Embrace nature and see what skills lie within your bare hands!